Despite its importance, effective trapping is one of the most underappreciated skills in soccer. In addition to helping the player control the pace and flow of the game, it’s an essential part of many other skills like passing, shooting, and dribbling. Trapping cushions the ball, making it easier to control, meaning it should not be mistaken with just receiving a pass. Thus, developing a good trapping technique is very important, especially if you’re just starting out and have to receive a lot of loose balls and errant passes. Also, turning balls into fast traps that lead to productive touches can make up for your potential lack of speed or experience. 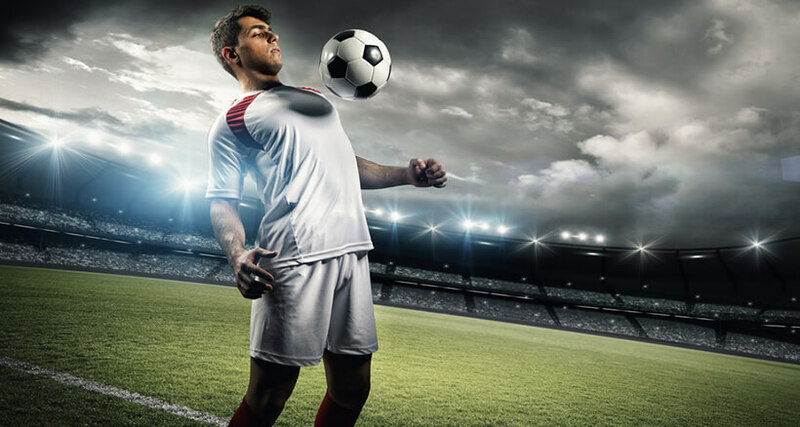 You can learn more about improving your soccer skills in our Epic Soccer Training review. As we always say, keeping the ball in possession is essential. Once you successfully master trapping the ball, it won’t matter if it’s a pass from your teammate, a 40-yard pass or a clearance from the goalie, you’ll have perfect ball control at all times. A successful trap will result in you leaving it within 3 feet of yourself. This will, in turn, lead to a positive touch, one toward an open teammate or the goal. Note that you’ll have to use the ground in order to stop the ball. Also, make sure your feet are “soft” when making the initial contact. If your feet are stiff, the ball will “run away” from you. It usually helps to envision a 3-foot circle around you and give your best to keep the ball within that circle. The main trick with trapping is learning how to “deaden” it or take away the initial momentum. You must also learn how to judge the flight and build the right trapping position. You’ll usually trap with your feet, but you can also use your chest or thighs. Although you can successfully trap the ball with the sole and laces, we would recommend that you use the inside of your foot. 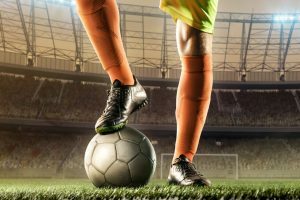 It will offer the best means of controlling the ball and keeping it between your legs where you can direct it with either foot. Always make sure that both your feet are lined up with the ball. If you’re lazy with your traps, it’ll lead to more errant balls than you bargained for. Your foot should be slightly lifted from the ground at this point. Swing the hips open and make sure your trapping foot is perpendicular to the ball’s path. Lock your ankle and keep your toe up, keeping it just firm enough as to not disturb the angle of the ball upon receiving it. Your elbows should be raised away from your body, which helps to maintain balance while you’re standing on one foot. This is an especially important point for younger players. Upon contact, move your foot slightly backward. This action will deaden the ball and create a similar effect to catching it with your foot. We’ve already mentioned that your foot needs to be soft for a successful trap. We’ll just add that your ankle needs to be firm to keep the ball under control at all times. Thigh traps require more balance so they’re somewhat harder to master. For a successful technique, make sure your thighs are parallel to the ground, leaving your feet higher off. Look at this move like “catching” the ball with your inner thighs. As with any other trap, you’ll have to intercept the ball first. Remember to maintain balance by raising your elbows away from your body. If you manage to control the ball, it should drop right in front of your feet, allowing for a quick next move. This is probably the easiest trap in the book, provided that you manage to get in the right position. Naturally, your chest features a much bigger surface than your foot, which makes controlling the ball that much easier. You should arch your back upon receiving the ball for a softer landing. If you’re under pressure, you can always steer the ball down where you can direct it more easily. We don’t really understand why so few coaches actually use trapping drills since they’re extremely simple. Players just pair off, stand around 10 yards apart, and start passing/lobbing the ball for their teammates to trap. Players usually begin with softer passes and work their way toward lobs, bouncing, and hard passes. If you want to make the drill more demanding and hard, just increase the distance between the players.